BACK TO BASICS – WHO MAINTAINS YOUR OEM ROLLS? 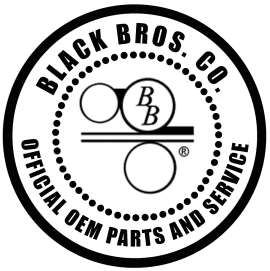 A Black Bros Co. machine is a superior machine made with quality components. When it comes to servicing your machine, make sure that you use only OEM parts and manufacturer-certified service! As an OEM manufacturer, we take pride in bringing the best to your doorstep. 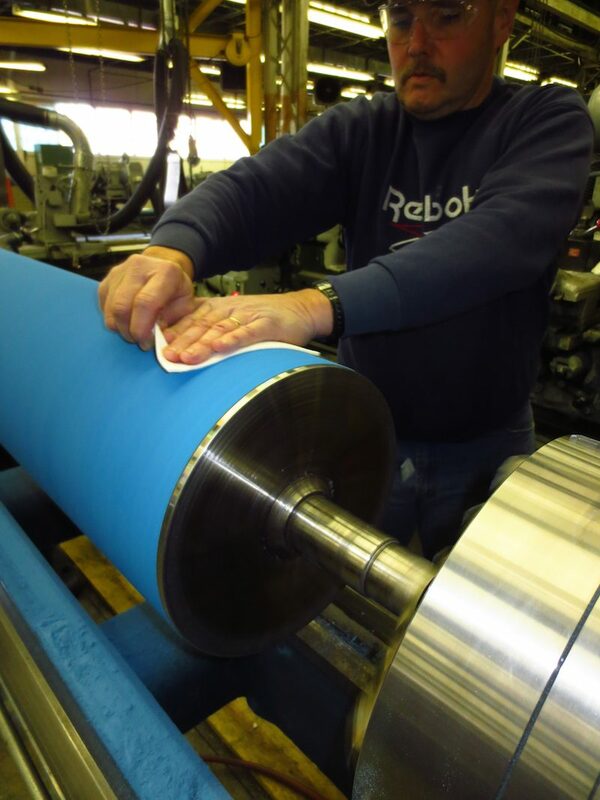 Using Black Bros. for your roll reconditioning services will save you money by making the grinding of your rolls the primary goal before spending the extra money on roll covering. A Black Bros. roll will typically yield 2-3 (or more) regrinds, before recovering is needed. 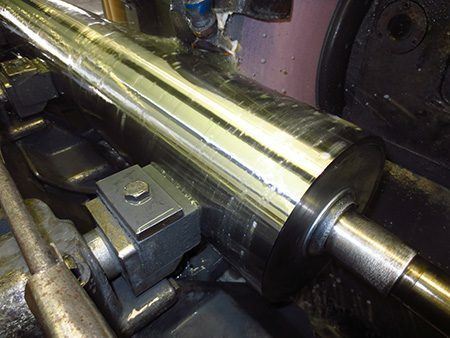 Every roll receives an inspection of the bearing journal surface, and rework if needed, to keep them running within factory tolerance. Black Bros. keeps your machine at OEM standards by keeping a running history of all of the roll work that is done to each individual roll. Like your doctor, Black Bros. cares about your machine’s long term health. 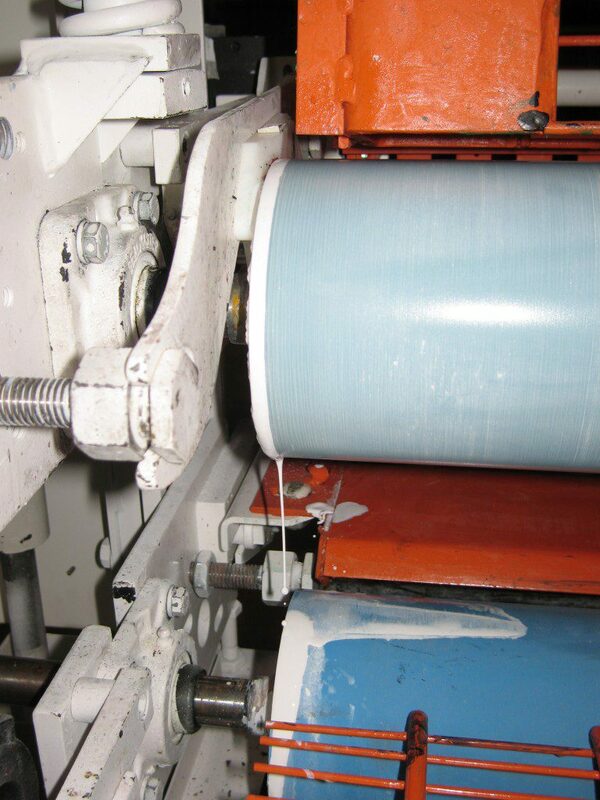 WE AIM TO OPTIMIZE YOUR ROLL COATER’S PERFORMANCE! Proper alignment of your machine’s end seals to the roll flange make for a clean roll coating operation. However, improper alignment of the end seals to the roll flange can cause a loss of coating material due to leaking. If the end seals are worn or distorted, the flange worn or misaligned, or the rolls were improperly installed, you can end up losing coating material. 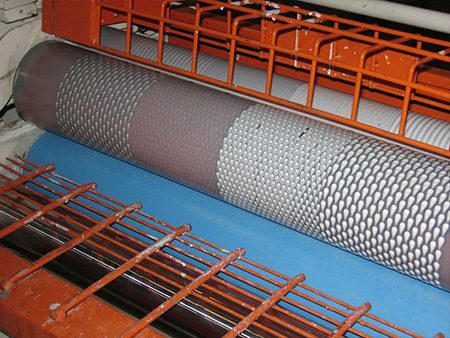 Daily loss of coating material can result in annual losses that rival the cost of manpower, especially with multiple machines. Allow Black Bros. to help you maintain your rolls to their original specification. Black Bros. highly recommends you send in both coating and doctor rolls (the paired set) to have them machined to maintain exact roll face length. Is a Coating Material Leak Costing You Money? 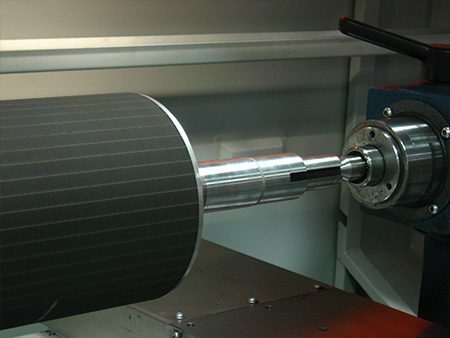 Black Bros. Co. is a vertically integrated manufacturing facility, providing in-house services for the complete process of roll machining and rubber vulcanization. All Black Bros. machines are maintained to operate at peak performance. So whether you’re buying a new machine, a new set of rolls, or using Black Bros for your roll reconditioning services, you are sure to save money, keep your machine at OEM standards, and have the assurance that you are getting the FULL VALUE out of a machine that is built to endure!